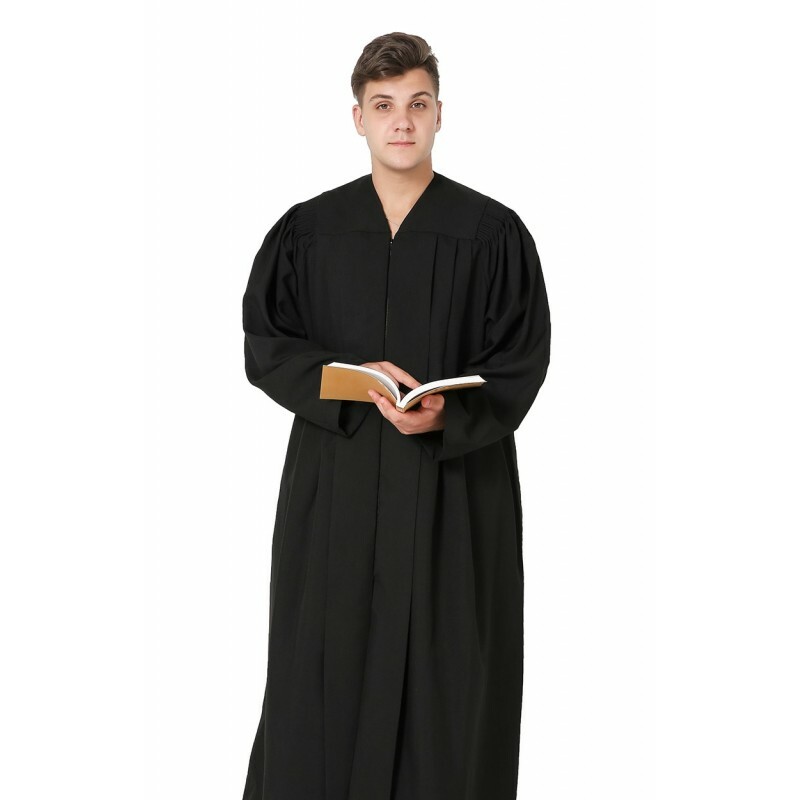 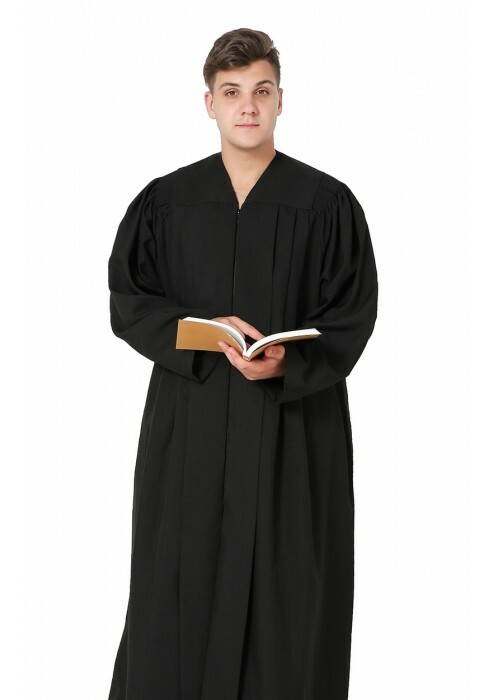 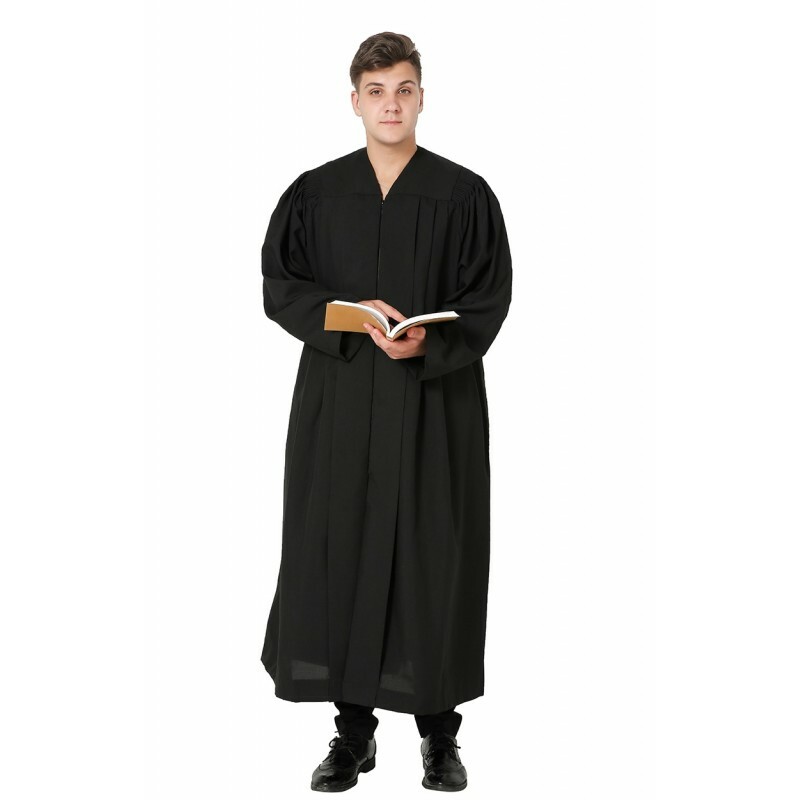 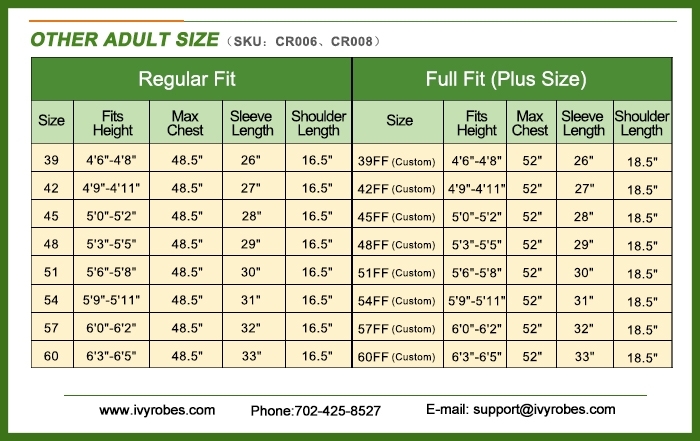 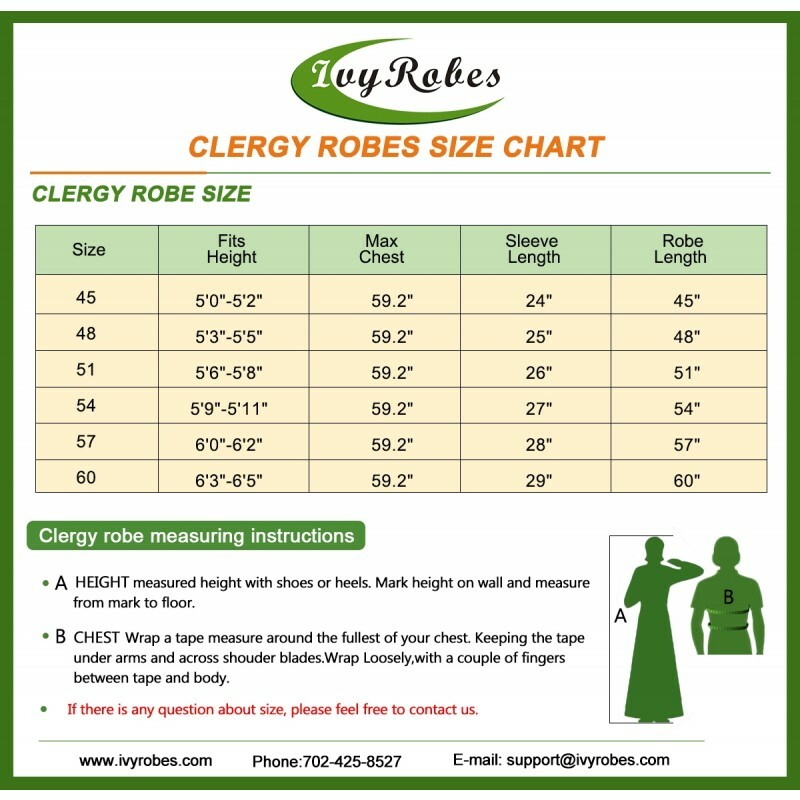 Plymouth Clergy robe has been a long-time popular clergy robe for men and women pulpit. 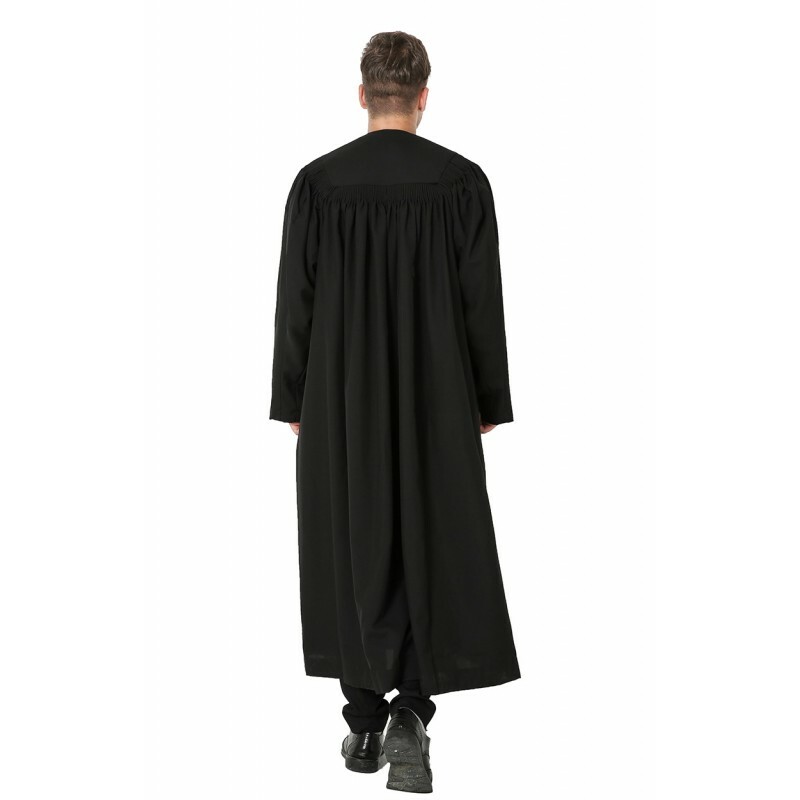 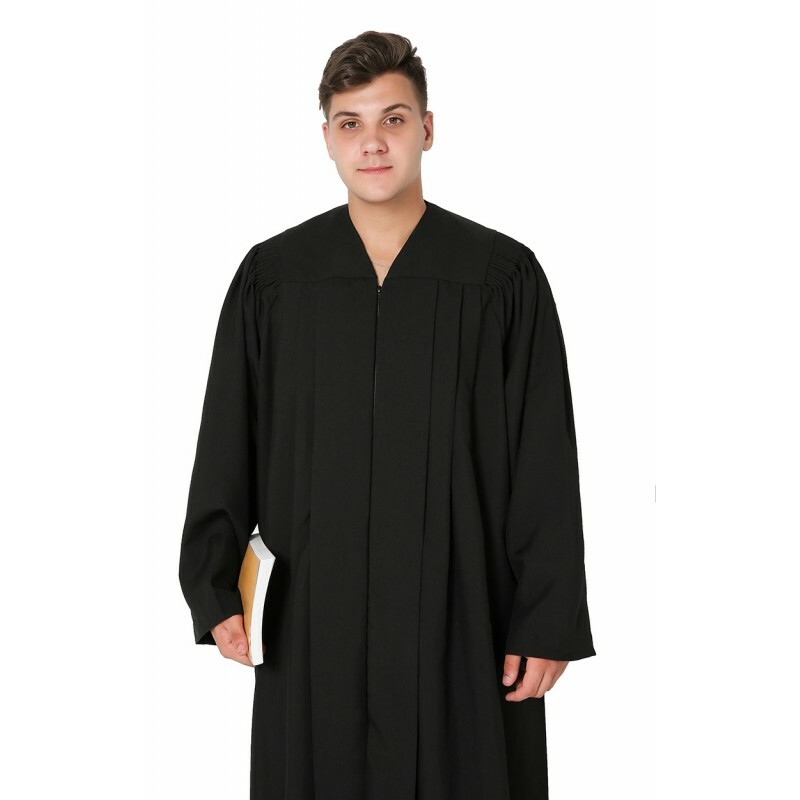 The robe is made of highest quality twill woven fabric and finest workmanship. 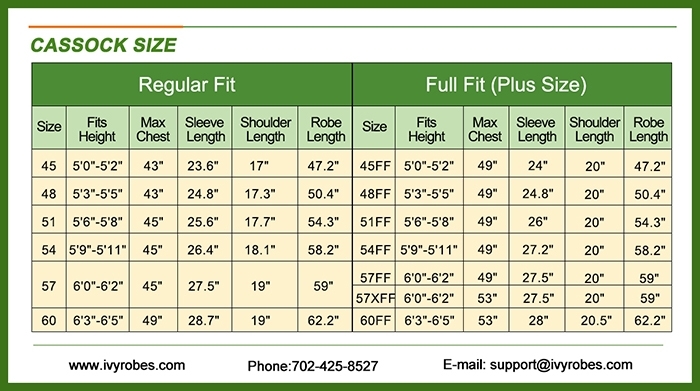 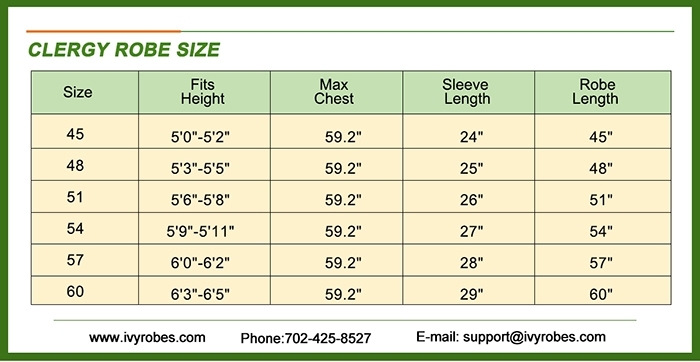 It features concise design, full flutes around back and shoulder and straight open sleeves. 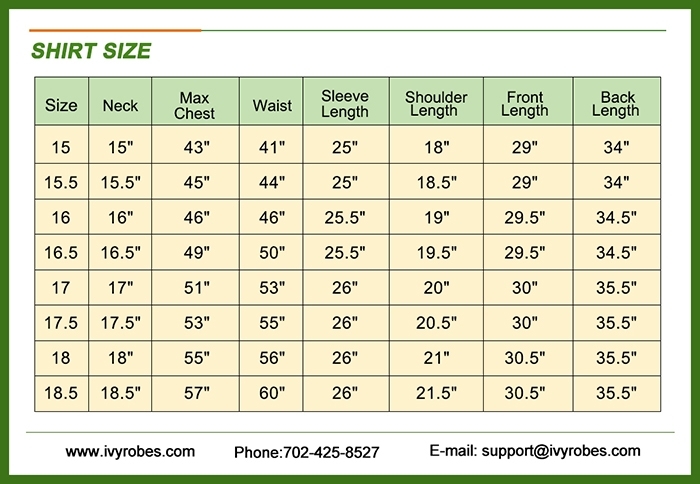 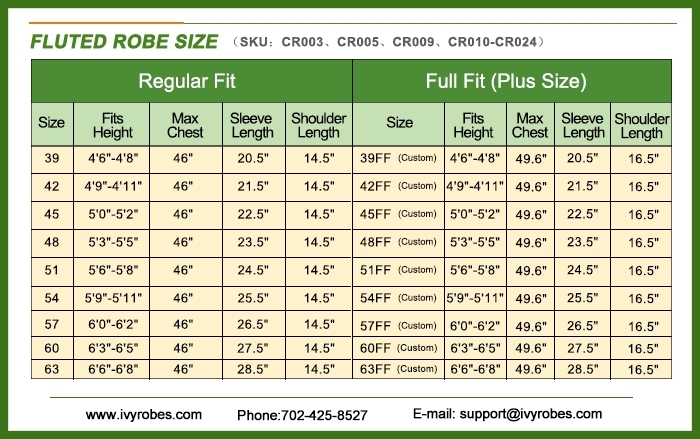 Free-wrinkle, light weight and durability.